If the opener of your garage door is not working properly, call our experts for fast garage door opener Simi Valley repair and installation in the area. We’ll get the door opener running smoothly, quietly, and at its peak efficiency. 24*7 services with no extra charges for weekend or holiday service, we are your first choice for high quality garage door openers repair, installation and maintenance services. We are factory authorized to work on all the major manufacturers of openers. 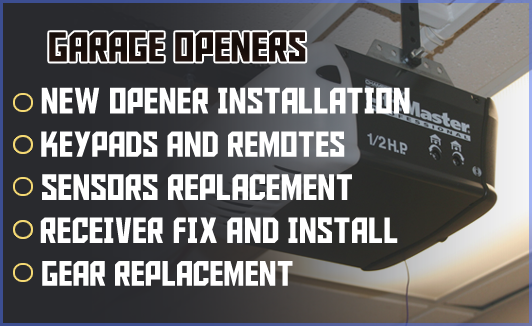 Our garage door technicians are skilled experts trained on all major brands of openers, including: Genie, LiftMaster, Wayne Dalton, Stanley, Linear, Chamberlain, Marantec, Craftsman, and many more. The garage door openers are available in a range of styles with several different options including: chain drive, belt drive, direct drive, screw drive, and more. All have their own pros, cons, and common source of troubles; all can be fixed, generally for just a fraction of cost of a brand new opener. 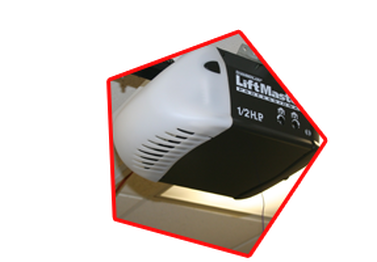 So let our garage door opener technicians diagnose the opener and discuss the repair options in order to assist you take an informed decision. Right from gear kit, to remote, to sensor, we are just one-phone call, do-it-right, do-it-today services company. Irrespective of the problem with your opener, our professional service technicians will precisely diagnose and fix your garage door openers. For do-it-yourself types, we stock a wide range of replacement parts too for the garage door opener repairs. Our technicians are glad to answer any questions and provide advice, tips, and hints to assist you do the work right. We also have accessories such as keypads, remotes, wall consoles, monitors, laser parking assists, and the MyQ access control product.